Empordàlia is an association of growers in Empordà, a small DO in north-eastern Catalunya, just south of the French border. Strongly rooted in their local environment, Empordà have chosen to represent the mountains in their wines, calling them ‘the wine of the wind’ after the strong, cold Tramontana wind that blows down off the Pyrenées. Bright and crisp flavours of green apple, pink grapefruit and white flowers. The wine is smooth and fresh with a citrus-filled finish. Fruit-driven and ripe notes of plum and blackberry, with a smooth, easy-going finish. Richly textured and deep amber in colour with golden raisin, baked apricot, fig and caramel notes and well-balanced sweetness. A fortified sweet wine made from 100% grenache gris and aged in solera. An homage to the fortified wine production of the area that was dominant until the mid-20th century. 500ml bottle. Empordàlia is an association of growers in Empordà, a small DO in north-eastern Catalunya, just south of the French border. 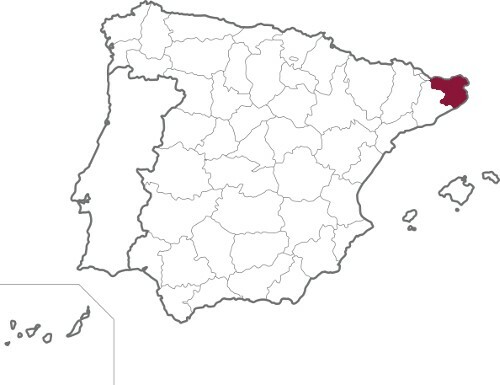 The area is bounded to the north by the Verdera mountains, to the east by the Bay of Roses and the Mediterranean, to the west by the cliffs of Garrotxa, and to the south by the plain stretching to the Empordà marshes. Strongly rooted in their local environment, Empordà have chosen to represent the mountains in their wines, labelling them Verdera and calling them ‘the wine of the wind’ after the strong, cold Tramontana wind that blows down off the Pyrenées. 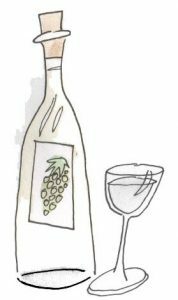 Working with traditional Catalan varieties garnatxa blanca, macabeo, garnatxa and carinena, Empordàlia create bright, fresh, Mediterranean-influenced wines.